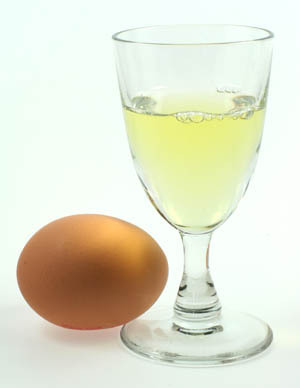 Every craft-bartender knows one thing: even if a lot of things went back into fashion [like Old Tom gin, artisan absinthes, artisan vermouths, bitters] one ingredient is in everybody's mouth: egg white. Egg white makes a cocktail smooth, the mouthfeel is improving really a lot - however it doesn't really water the drink down. Further the appearance of egg white containing drinks is just amazing - shaking it properly yields with a wonderful fluffy, up to 1 inch high crown of froth. Proper dealing with eggs make a big difference. You could also use pasteurized eggs - this will limit the salmonella risk to a minimum. Another tip for bartenders is, to call it not egg white. We have a very "associating" mind - the word egg white will fire up associations of a mucoid, slimily substance - not exactly, what we would like in our mouth. However if you are using a word which doesn't have this negative associations, guests are much less reacting negative on this; just call it glair and wait for the reaction of your guests. However the biggest problem I came across was the "wet dog smell". Apparently egg white drinks have the tendency to oxidize with the oxygen of the air, and creates some unpleasant aromas. Ignore the smell [Jeffrey Morgenthaler solution]. 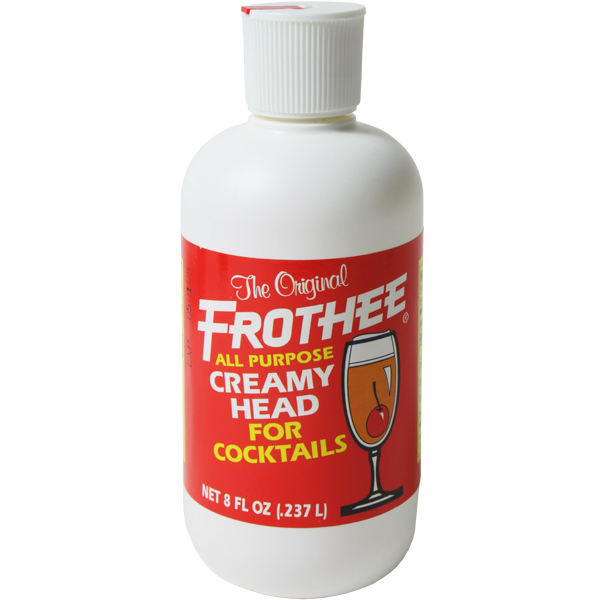 Use an artificial egg-white substitute like frothee. Unfortunately non of this solution really work. Long time I used the first solution. And in fact, the smell gets a little bit better - however the fragrance of the flower water just tries to cover up the smell of egg white. Hence the smell is still there - and I can make it out. I was very excited about the second solution. I have read in an article about Tony Conigliaro, that he found out, that you could just store the raw eggs with the flower waters and as the egg shells are porous, they are taking on the smell. When I tried it, it turned out, that this version is even less effective than the first solution. The egg smell is clearly there in the cocktail. Disappointment [and the loss of confidence into Tony]. Third: There was a discussion over at jeffreymorgenthaler.com about the use of egg white. On my question, about the eggy smell, Jeffrey countered, that it is just a hint and can be neglected. Funny is: that of 10 drinks made with egg white, only 1 or 2 are coming back. Maybe it has something to do with the individual taste abilities of humans [just check the article of Darcy about this on artofdrink.com]. Unfortunately I am one of the guys, who really perceive negatively the presence of egg white - on the other hand it is quite ok - as I can feel the grieve of those guests who also can acknowledge "wet dog smells". Maybe one of you - dear readers, have the long sought solution for this problem - maybe Prof. Dr. Darcy O'Neal can bring light into the darkness. I would be thrilled to discuss your experience with egg whites and "wet dogs".